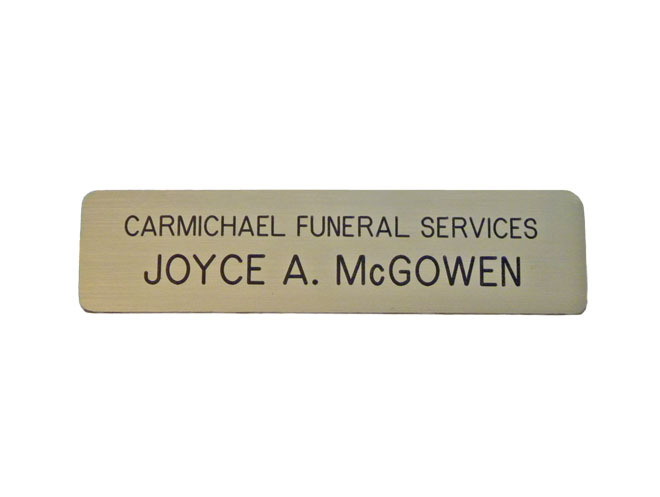 Custom engraved name badges from Indiana Stamp give you a professional edge. Ideal for up to 2 lines. Pin style back included in cost of badge. Premium fasteners (magnet, MC clip, swivel clip and pin style) are available at extra cost.